Sign in to your ExpressVPN account page. 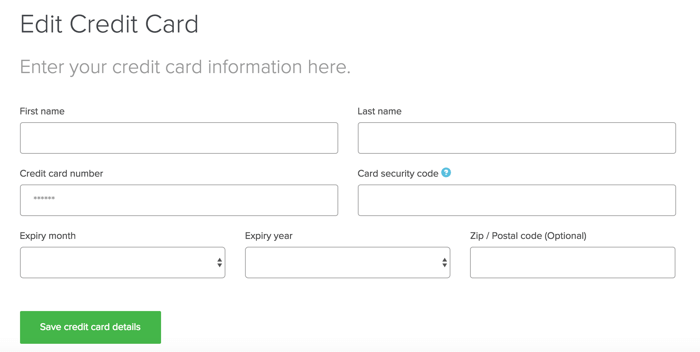 Note: If you see the text box has been grayed out, you can still enter your credit card information as normal. Click on Save credit card details to save the new credit card details. This will replace the previous credit card information you entered. Need help? Contact the ExpressVPN Support Team for assistance with updating your credit card information.